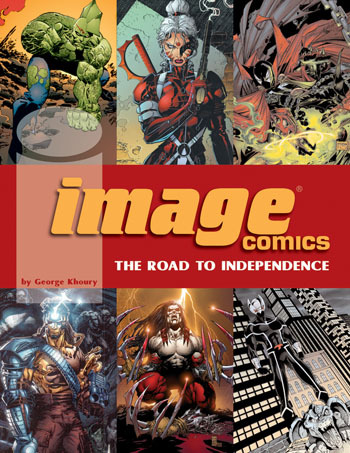 We’ve gotten a nice plug for George Khoury’s upcoming book Image Comics: The Road To Independence here. If you’re curious to talk to George about the book, or any of his other projects, check our this link to the “Marvel Masterworks” website, and post to the message board, which George frequents. The book’s almost done, and man, people are going to be talking about it for a long time to come. It’s not just about the Image founders; it’s about the whole state of the comics industry from 1990 to today. 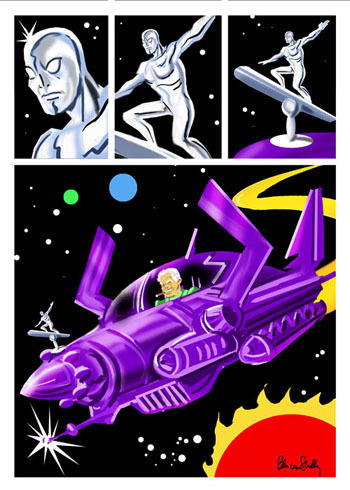 And like so many of our publications, it all comes back around to Jack Kirby. Yes, Jack Kirby; just wait and see! It should be out the last week of May. Trust me, you’ll want to read this book. This entry was posted in TNT on 18 April 2007 by Mr. Morrow. Alter Ego nominated for Eisner Award! 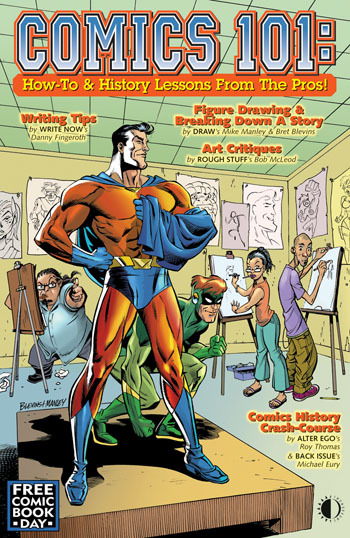 Yep, Alter Ego is nominated for “Best Comics-Related Periodical/Journalism” in this year’s Eisner Awards! The category was especially challenging this year, since it included not just print publications, but websites as well. Haven’t seen the list of what AE is up against yet (we just got the word from Eisner chair Jackie Estrada a few minutes ago via e-mail), but this is great timing, considering Roy Thomas is a Guest of Honor at this year’s Comicon International: San Diego, where the Eisner Awards will be handed out this summer. Great work, Roy, as well as Jim Amash, Bill Schelly, Michael T. Gilbert, P.C. Hamerlinck, Chris Day, and everyone else who’s worked so hard over the last 68 issues to make this honor so well-deserved! The Scoop (Diamond’s e-newsletter) just gave a great plug for the Blue Beetle Companion. Thanks, guys! Get the Von Sholly Bundle. You’ll love it! A few years ago, a major US newspaper was involved in a brouhaha when one of their longtime reporters was caught plagiarizing material in his articles. At the time, I thought, “Yeah, he was wrong to do it, but man, aren’t they making an awfully big deal of all this?” I mean, it was constantly on all the news networks for several days. Surely they’ll just give the guy a slap on the wrist and be done with it, I thought. But having gone through a similar incident at TwoMorrows recently, I’m not so naive anymore. Plagiarism not only steals material from the person who put in the actual effort, it causes a huge domino effect that needlessly drags down not only the offender, but the innocent author, their publisher, and likely a lot of other people. It can cause a huge loss of time, productivity, andâ€”if the victim is litigiousâ€”money in legal feels. It also causes publishers to burn up space in their blogs like this one, when they really should be getting Comics Gone Ape! ready for the printer. All in all, it’s a big pain in the posterior, just because a writer was too lazy to simply credit sources in their work. Also, if you’re thinking of quoting some TwoMorrows material for use at a different publisher, I’d strongly advise you to adhere to these guidelines: request an OK from us first, and credit our source material when you do. Our contributors work really hard on our books and magazines, and I will do whatever possible to protect the rights of our authors to benefit from their hard work. Sorry if this is a downer, but it’s serious enough that I felt I had to make everyone aware of it. Just credit your sources; it’s really not that much extra work, and it’s the right thing to do. “Fair Use” allows excerpts of copyrighted material to be used for journalistic purposes. However, it must be credited to the copyright owner, or it becomes plagiarismâ€”presenting someone else’s work as your ownâ€”which cannot be condoned. At the bare minimum, you should credit the title of the publication and the author you are quoting from, ALWAYS. When possible, we encourage contributors to also include specifics about the publication (publisher’s name, issue and page number, etc.). It is the contributor’s responsibility to ask permission from the author of the source they are quoting from, if the material to be quoted is more than 3 paragraphs (or in the case of shorter source material, roughly 5% of the material). While it’s not required, we also encourage contributors to ask permission of the author to quote their material when it is less than that amount. In most instances, author’s will gladly give permission, as long as credit is given. Publisher John Morrow is happy to provide assistance in tracking down the authors of any source material for permission; send your request to twomorrow@aol.com. If we’re unable to track down the author for permission, John will make a decision on a case-by-case basis about whether to include the material without specific permission. However, if permission is expressly denied by the author, the material can not be used. If, in the opinion of publisher John Morrow, a contributor violates this policy, the contributor will receive one warning. If the problem occurs again, TwoMorrows will no long accept any material from that contributor. This entry was posted in TNT on 11 April 2007 by Mr. Morrow. This entry was posted in TNT on 6 April 2007 by Mr. Morrow. I’ve been going nuts trying to wrap up the new Kirby Collector, and it’s almost done. 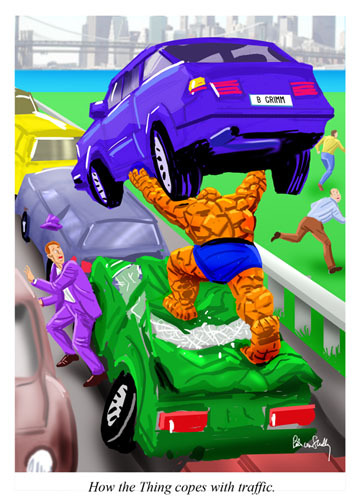 Pages 2-75 are complete, and will be guest-proofread tomorrow by Eric Nolen-Weathington, pinch-hitting while Chris Irving gets back up to speed from his travels. All that’s left is the letter column (one of the most fun parts of putting an issue together), and the table of contents and house ads (probably the least fun/most boring parts). Then, I’ll spend a solid day cleaning up scans, and it’ll be off to press, for release either last week of April, or first week of May (just about on schedule, give or take a week). This entry was posted in TNT on 3 April 2007 by Mr. Morrow. 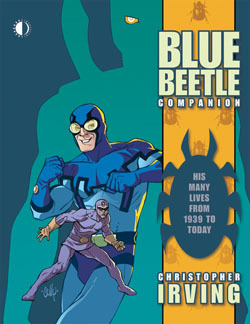 Newsarama is featuring an interview with our own Christoper Irving, about his just-released book The Blue Beetle Companion. We literally got our copies from the printer today, so as soon as Chris gets back in the office tomorrow (following his trip to the Emerald City Con in Seattle to handle our booth, and to interview Peter Bagge for the first volume of his new Comics Introspective book series), he’ll be getting copies mailed out. I remember meeting Chris for the first time back at a 1990s San Diego Comicon, and wondering why a guy so young would be so interested in the same Golden and Silver Age creators that I am. He’s a bit older now, but he hasn’t lost one ounce of the enthusiasm he had back then, as anyone who reads the Blue Beetle Companion will easily be able to tell.